What kind of insane moron doesn’t love a good breakfast place? Not me. 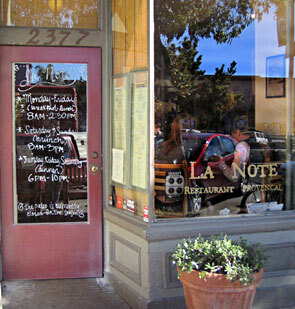 La Note is just what breakfast lovers love: coffee, eggs, pancakes – mmmm! Little pitchers of municipal water with lemon slices brought as they seat you at your table – I thought this was an especially nice touch. 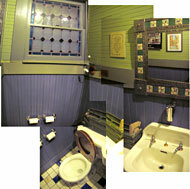 The interior is light, charming and inviting, a little cramped but that somehow seems fitting. These were my favorite, especially with a healthy does of syrup – like gingerbread meets pancake. The pears had that “out of the can” quality and the blubes seemed out of the freezer BUT that was okay. They serve this with a cute little bottle of syrup. 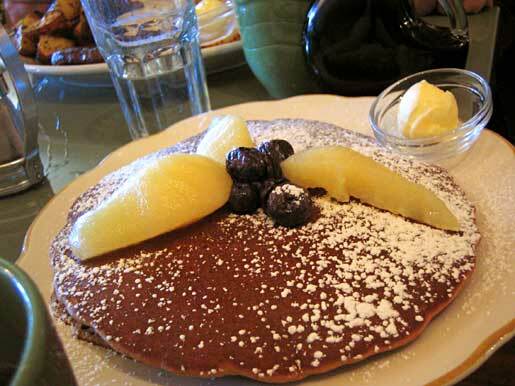 The pancakes were delish – I would order this one again. Eggs over easy: cooked perfectly. Sourdough toast: fine - nothing special. 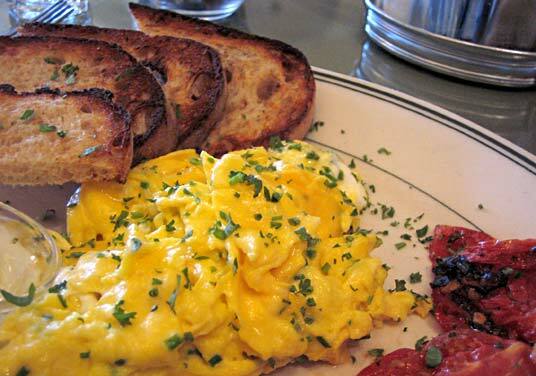 Scrambled eggs: good, they were cooked slightly too firm for my taste. The goat cheese was too mild. I like goat cheese with at least a little zing to it. Roasted tomatoes: delish. Nicely tangy from balsamic and seasoned perfectly. Levain toast with unsalted butter: I love toasted levain bread and you don’t find it in many restaurants as an option for toast. Mmmmm…I ate this spread with sweet butter and Costco raspberry jam (yes, they get it from Costco!) It was surprisingly good despite it’s humble origin. 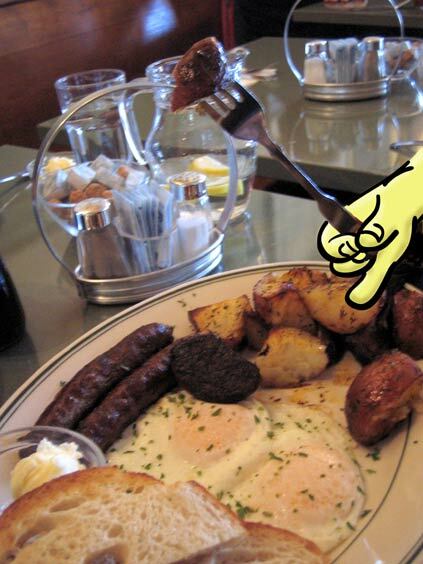 Overall: delish casual breakfast – 2 1/2 carrots out of 4. The folks at La Note do a fine job. 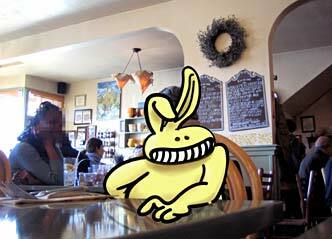 It’s a casual Provencal meets Berkeley restaurant. Absolutely worth checking out if you are in the neighborhood. It’s an old building so they had to work with some existing limitations. Don’t like the blue watery liquid soap or double spigot sink (hot or cold but no middle ground.) The way the sink is constructed, it’s difficult to rinse your paws without coming into contact with the edge of the sink.